HuffPost Green is launching a week-long, community-driven effort to bust the myths and raise awareness about pit bulls, a maligned “breed” that often bears the brunt of dated, discriminatory legislation that can make it near impossible for these dogs to find a forever home. You can follow along with HuffPost Pit Bull Weekhere, or on Facebook and Twitter where we’ll be using the hashtag #PitBullWeek. 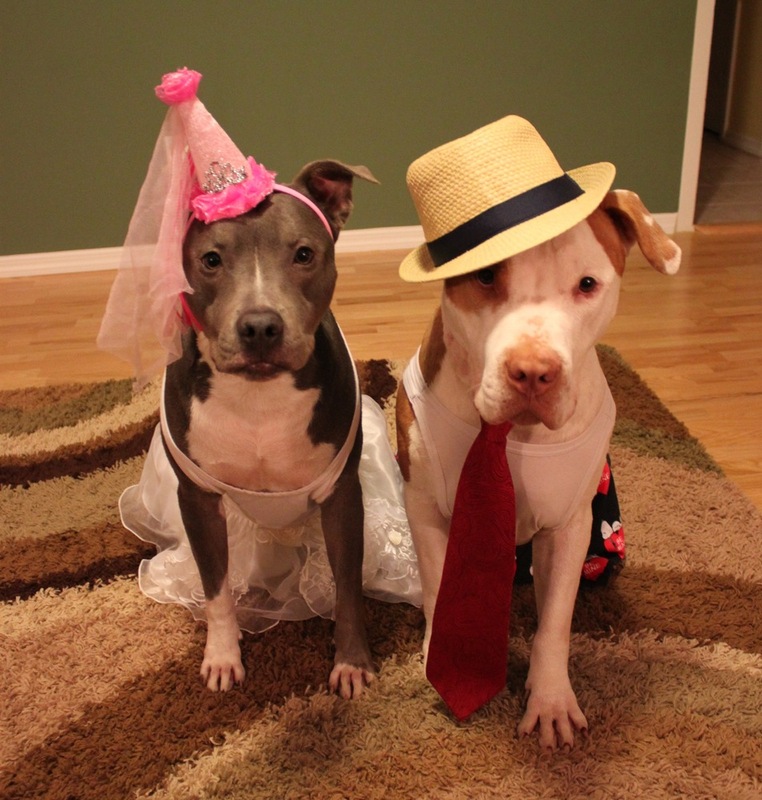 These stereotypes about pit bulls are dead wrong. Literally. Some 1.2 million dogs are euthanized in shelters across the country every year, according to the ASPCA. (For comparison, 1.4 million are adopted). We kill anywhere from 2,000 to 3,000 pit bulls a day. They are rising simultaneously in popularity and disposability, becoming something truly American, a popular dog forever poised on the brink of extermination. But the euthanasia of 1 million blocky-headed dogs per year isn’t even the only crime. Hundreds of jurisdictions across the country ban or otherwise restrict ownership of these dogs — which leads to dogs being taken away from their families for nothing more than their appearance, and families living in fear of losing their beloved pets. And even in cities that allow pit bulls, housing can be near-impossible to find. Remember the story about the California family that lived in a car when they couldn’t find a rental that’d accept their dog? The dilemma they faced — having a home or keeping their pet — isn’t unique. “What we’re finding is our inbox is filled with people who say ‘I’m about to go homeless, can you take my dog? 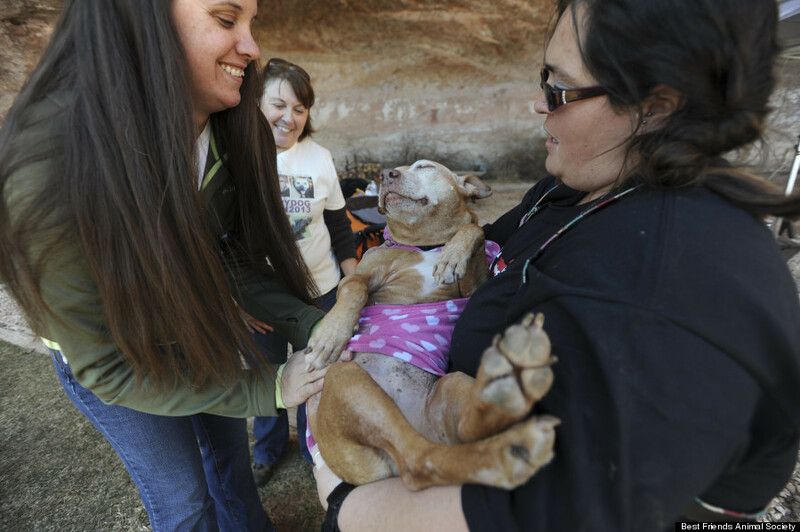 '” Donna Reynolds, director of the pit bull advocacy group BAD RAP, told ABC in February. For me, these many families and these millions of dogs matter a lot, in a very personal way. 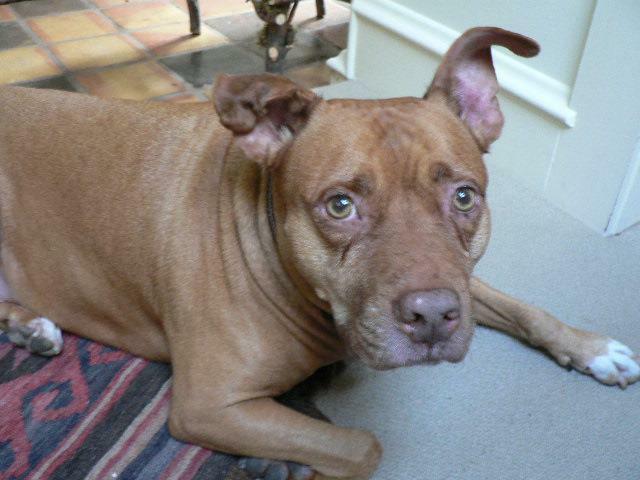 My life was changed by a pit bull named Barky, who came into my life in New York in 1997. Barky didn’t wake me up in the middle of the night to save me from a fire, like some pit bulls have done. 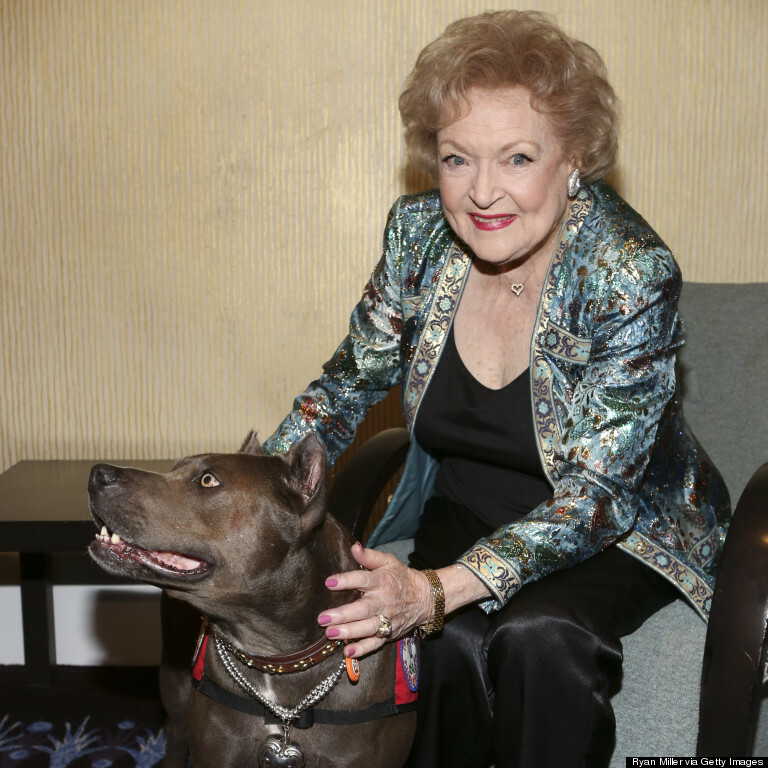 She wasn’t a therapy dog who sat patiently with kids while helping them get more comfortable with reading, like Elle the pit bull, otherwise known as the American Humane Association Hero Dog of 2013 and Betty White’s buddy. What Barky did, until she died two years ago, was simply be a pet, who brightened the life of everyone she met (except squirrels, and sometimes cats). She was a funny, orange girl who liked to sleep under the covers and let me dress her up in hats — like the getup she’s wearing at the top of this page, in a photo taken when we were both already much too old for such things. 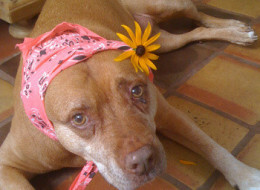 Barky was a pit bull, and a true individual, and I loved her very much. 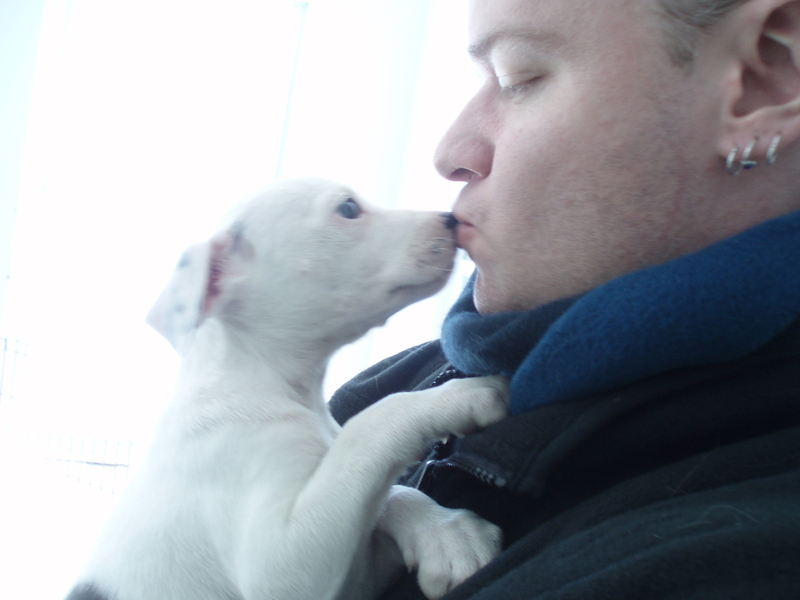 But stereotypes about pit bulls, like these 10 below, lead to bad policies, which then punish loving dog-owners like me. Doesn’t Banning Pit Bulls Make People Safer? Bans and restrictions on pit bull ownership are called “breed-specific legislation” — and the studies that have looked at these laws find they don’t make communities any safer. Which stands to reason. 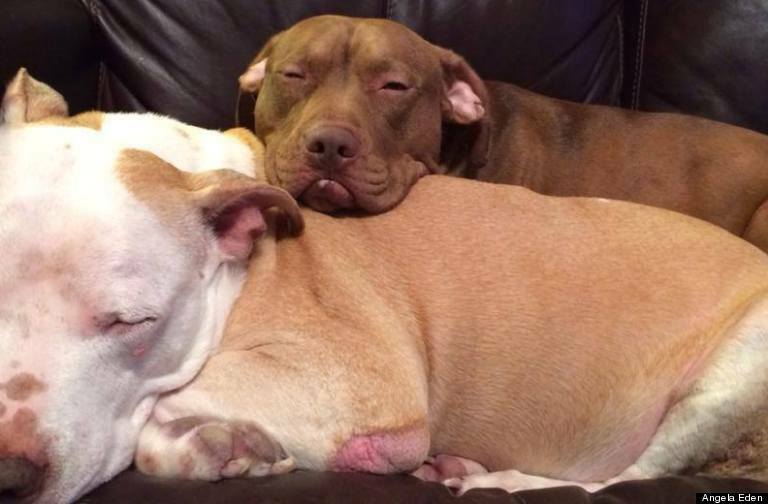 For one, there’s no evidence that pit bulls are, in fact, more dangerous than other dogs. And for another, breed identification is nearly impossible. After an attack, police and newspaper accounts rely on witnesses to accurately identify the attacking dog’s breed, a task that studies have found even veterinarians and other animal care professionals can’t do with much accuracy. See if you’re any better with this online quiz. The restrictions are also expensive — the group Best Friends Animal Society has an online calculator you can use to see how much breed-specific legislation costs. Enforcement of Miami’s breed-specific legislation is said to cost the city more than $600,000 per year. A task force charged with examining a pit bull ban in Prince George’s County — in Maryland, just outside Washington, D.C. — foundenforcement of the ban cost $560,000 over two years, without any public safety benefits. Groups like the American Bar Association and the Centers for Disease Control have come out against breed-specific legislation. President Barack Obama, in a statement, said that these restrictions are “largely ineffective and often a waste of public resources.” Community-based approaches to dog bite prevention are a preferred alternative. Nope, they aren’t. 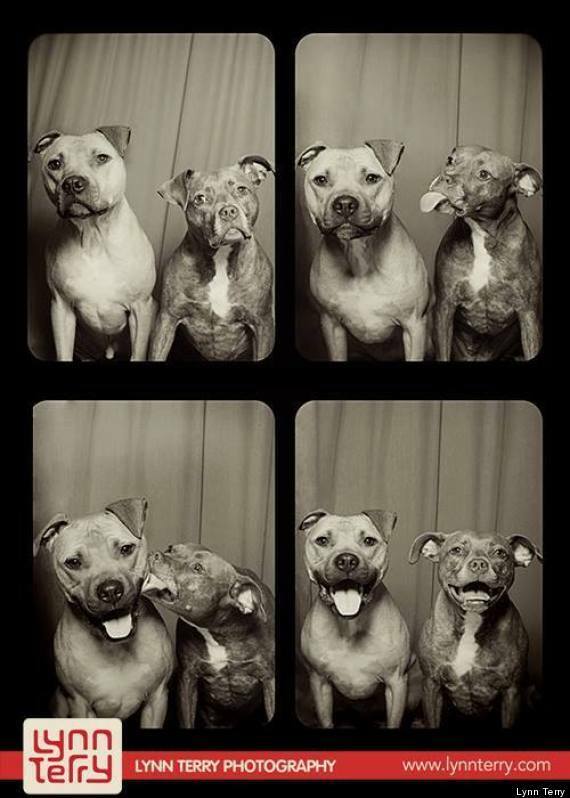 Like all dogs, pit bulls are individuals. All this means that pit bulls aren’t inherently anything, other than dogs with a blocky-shaped head. And of course the shape of a dog’s head tells you exactly nothing about that dog’s personality. Educate yourself on the best ways to avoid dog bites. Learn to read a dog’s signals; teach your kids the correct way to approach a dog of any kind. That’s a much more effective way to stay safe — and certainly better than implementing policies that restrict dog ownership based on physical appearance instead of actual behavior. Most pit bulls aren’t bred for anything — by and large they’re mutts, plain and simple, who happen to share a similarly blocky-shaped head. 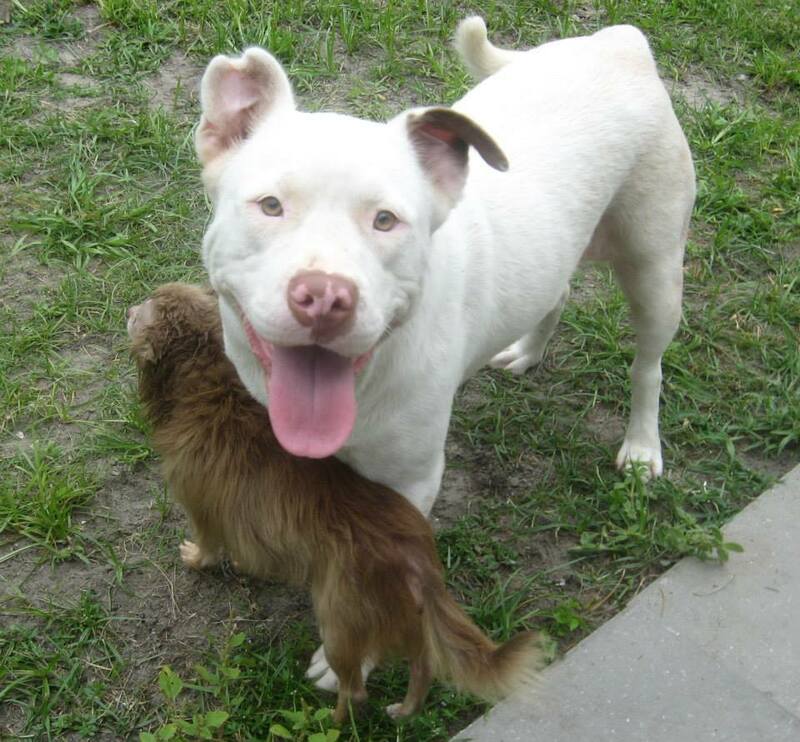 But even those dogs who are bred for fighting — like Little Red here, who was one ofMichael Vick’s pit bulls — can turn out to make great pets once they’re free from their abusive environments. Don’t They Have Locking Jaws? They don’t. Pit bulls have just the same old mouths as every other kind of dog — and not even the strongest around. No one, meantime, has found any dog to have a locking jaw. This anatomical trait is a myth. *Thanks to Twitter user @CitizenKarl for getting in touch with a clarification about this study’s findings. Want to tell that to Handsome Dan? This guy is another of Michael Vick’s former dogs — he was the first to be placed in a home with a baby, and now he’s an unstoppable cuddlebug. 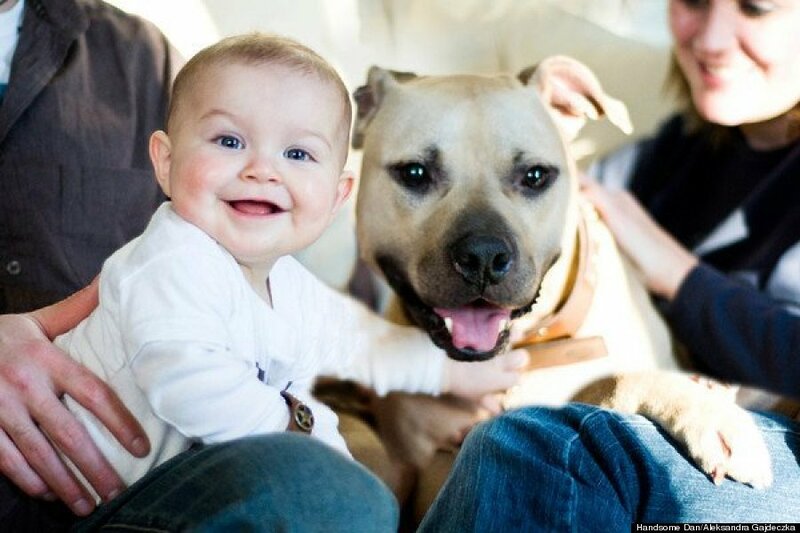 So yes, some pit bulls really are great with kids. And some aren’t, just as with all kinds of dogs. Want to keep your kids safe around dogs, pit bulls or otherwise? Make sure to supervise them, teach little humans the right way to approach and interact with our canine friends and pay attention to the signals a particular dog is giving off. Also, keep in mind that a dog’s breed does not tell you how good that dog is with kids — so you can’t assume a beagle is safe any more than you can assume a pit bull isn’t. Did you hear the story about Joanie the pit bull and her best friend in the world, Chachi the Chihuahua? This pair was found roaming the streets of Savannah, Georgia. Joanie was carrying the badly-injured Chachi in her mouth to keep him safe — and since they can’t bear to be apart, the two have now been adopted, together, and are on their way to a new life in Florida. Not to beat a dead horse — we love horses here, too — but it all depends on the individual dog. A dog being labeled a pit bull tells you nothing about how that pup will be with other dogs. And regardless of breed, good socialization is always recommended, to help dogs play nice. This is Boom. Boom is a Staffordshire bull terrier who is a champion athlete, and a world-class buddy to baby chickens and bunnies. 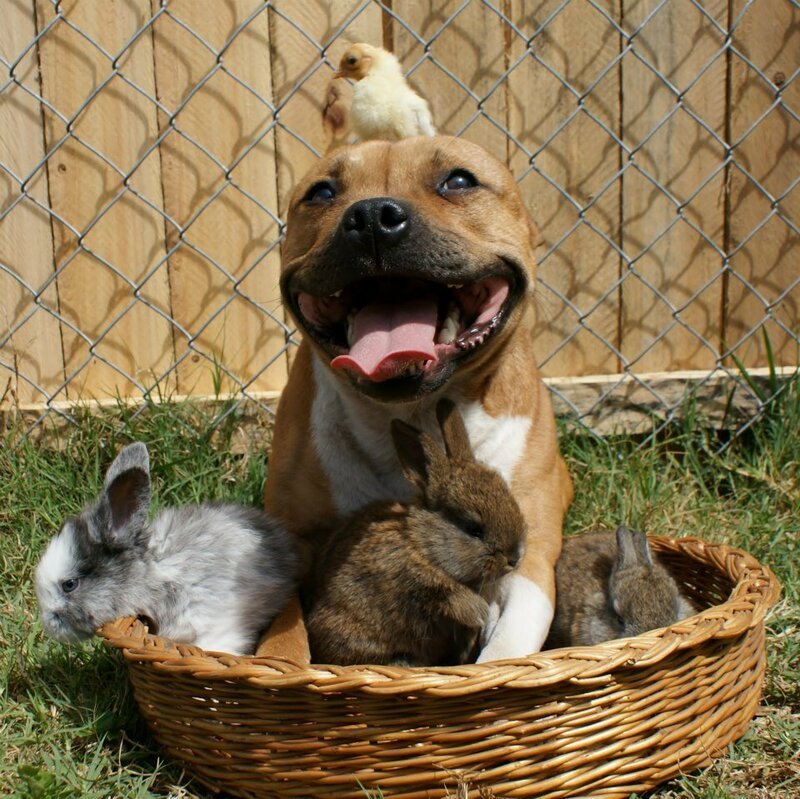 Some pit bulls are great with other animals. Some are not. It depends on the individual dog, not on the shape of the dog’s head. Once A Fighting Dog, Always A Fighting Dog? You can be forgiven for believing that dogs trained to fight can never become family pets. A lot of people — including prominent rescue groups — shared that belief, until 2008, when until Michael Vick’s pit bulls were given the chance to prove otherwise. Prove otherwise they have. Twenty-two of the most severely abused dogs — now known as “Vicktory dogs” — were rehabilitated by Best Friends Animal Society. See for yourself how much love they get, and give, today. These pit bulls are a true testament to how resilient dogs are — and how even those who have suffered the most can thrive. Believe it or not, the dog sticking her tongue out in this photo was also rescued from fighting. Her name is Bumper now. She and her brother Willis are just aggressively affectionate. My pit bull Barky lived to about 14. She was a beloved family pet from the day she was found abandoned in a New York park until the heartbreaking day we decided it would be kinder for the veterinarian to stick a needle in her than to let her die from an otherwise-inevitable stroke or heart attack. This dog, who changed my life, never hurt anyone through the course of the decade and a half we were lucky enough to have her. Barky was hardly alone. Indeed, the statistics show how incredibly rare it is for any dog to turn on anyone, let alone for one specific type of dog to turn on their owners. There are thought to be fewer than 30 people killed in dog attacks per year — a vanishingly small number, considering that some 70-80 million dogs are owned in the United States. While some make broad claims about the breeds of dog most often responsible for the fatal bites, the data shows that breed isn’t actually a factor. According to the most recent comprehensive examination of fatal bites in the United States, which was published last December in the Journal of the American Veterinarian Medical Association, breed could only even be identified in 45 incidents. Of those, two mutts, and more than 20 other breeds, were responsible for the attacks. Non-fatal dog bites are, unfortunately, not so uncommon. According to the CDC, about 4.5 million dog bites are reported every year. Of those, about 885,000 required medical attention. But, again, while hysterical media reports may lead people to believe that pit bulls are to blame, the fact is that no reliable evidence substantiates that belief. Some pit bulls bite. Some of any kind of dog will bite. There is simply no reliable data supporting the assertion that pit bulls are more likely to bite than than the others. And the many, many thousands of pit bull owners who have seen their pets reach their natural ends can tell you, too, that no, pit bulls do not all eventually turn on their owners.